I mean. Is HAGGY AGGY totally bats on a broomstick in a burning belfry or WHAT? 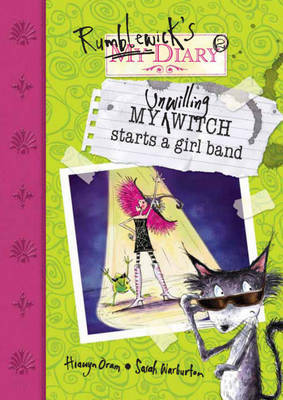 She's only starting a GIRL BAND and I have to be in it even though it is as clear as new moonlight - I AM NOT A GIRL! HELP! My unwilling Witch starts a Band is a fantastic, fantasy story written by Hiawyn Oram and Sarah Warbuton. This story is aimed at children 7 and over.